With time, the phones are getting bigger and bigger. But, a new trend has followed this and almost every flagship device is accompanied by a “mini” version. In case you can’t recall, there was Galaxy SIII mini, Galaxy S4 mini, HTC One mini and so on, and so forth. It seems HTC will continue to follow the trend and will also launch a mini version of their highly rumored HTC M8, according to the popular Twitter leaker @evleaks. The tweet doesn’t offer anything else about what we could expect from the mini version of the M8 or will it get a similar treatment as Sony gave to its Xperia Z1 Compact that boasts almost the same set of specifications as the flagship device, packed inside a a smaller body. 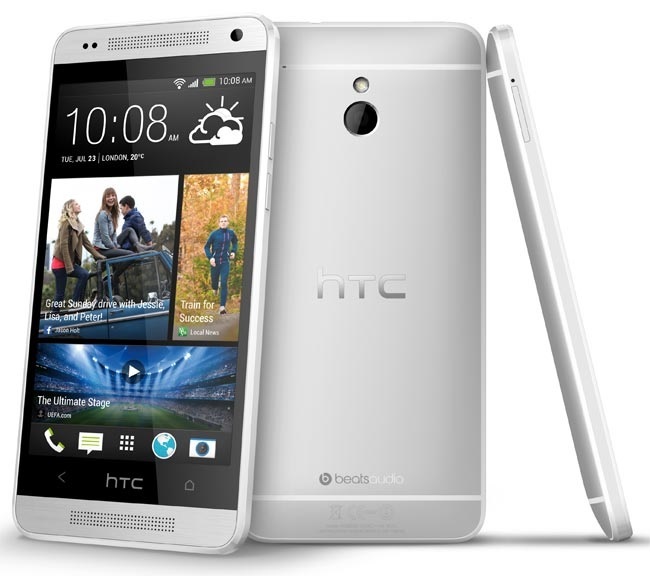 “0P6B:HTC M8::0P8B:M8 mini,” according to the tweet @evleaks sent out. There’s no word about what it could bring at the table, but as Sony has raised the bars with its Sony Xperia Z1 Compact, there is a possibility that HTC might follow it with its HTC M8 Mini. Regarding the HTC M8, it is rumored to feature top-of-the-line specifications, and come with a Snapdragon 800 SoC, 2GB RAM, 16GB expandable storage, 5-inch display with 1080p resolution, Ultrapixel camera, 2,900 mAh battery and is expected to ship with Android 4.4 pre-installed out of the box. If HTC follows what Sony did with their flagship, we could expect a trimmed down display as well as resolution, and a slightly lower price tag. It’s too early to make speculation about the HTC M8 Mini as we’ve yet to witness the flagship device, which is expected to see the light of the day in the coming days. We’ll update you if anything comes up.